This stunning Holly Glow tablecloth is a must for your home decorating for the holidays. 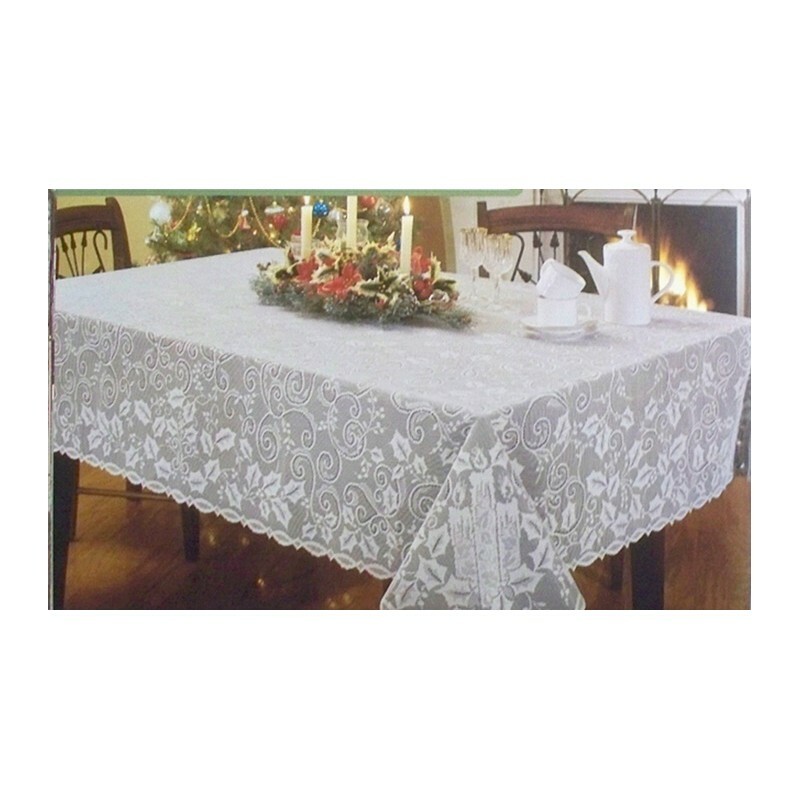 This lace is more of a medium weight and texture and is so elegant. You will not be disappointed with this beauty.A suggestion would be to use this at a greeting table or a serving table and add some holly garland. How elegant that would look! This is a Heritage Lace pattern that has been retired. Color: White. 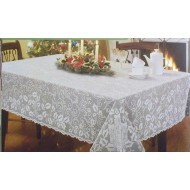 Will look great over a solid colored tablecloth. Size: Approximately 52 inches wide x 70 inches long. Will fit a table size 22 x 40 up to a 40 x 58. *Note: No credit cards accepted over the phone.